Left a widow by her cruel husband's death, Lady Emmalyn of Fallonmour is determined to control her own destiny, until her hard-won vows of independence are threatened by the mysterious warrior sent to protect her castle on order of the king. Emmalyn is now at the mercy of Sir Cabal, a feared knight known as Blackheart. "Cabal is a tortured hero, and if you like those, you'll love him–he is a good man who thinks he has lost what makes him a human being. As for Emmalyn, she's spunky without being annoying, strong and independent. It was a joy to watch these two fall in love. 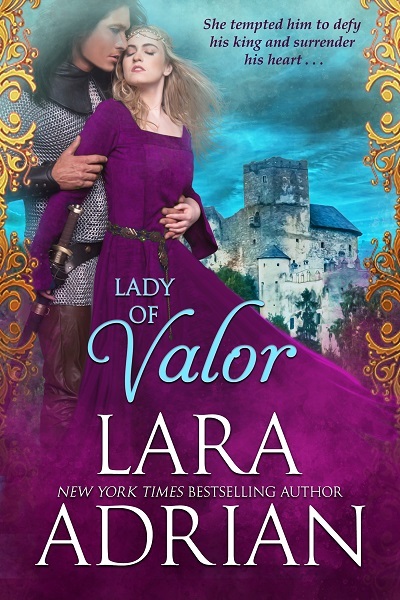 If you are looking for a great medieval, look no further than Lady of Valor."